SDX-1P model is full automatic k-cup filling and sealing machine 25 CPM with filter inserting option. Rotary type machine very easy and convenient to operation, small foot print perfect for space limited production area. Heavy duty constructed, stainless steel surface, extremely reliable. SDX-1P machine able to fill and seal different type of pods like “K-cup®”, “Upshot®” ,“K-shot®”, with and without filter inserting option. Servo drive auger filler suitable for various of powder products: coffee, tea, hot chocolate etc. Servo motor drive in line machine. 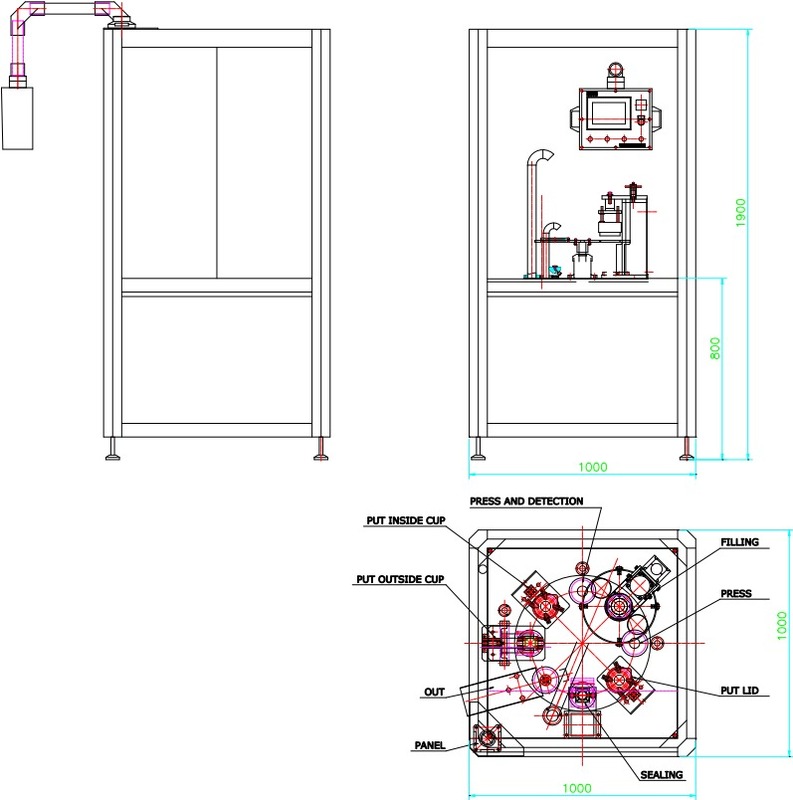 Automatic vacuum transfer feeding system with permanent Nitrogen level. Stainless steel AISI 304 constructioninclude frame and electrical box. All electronics parts: PLC, Touch screen, Servo motor, Temperature—“OMRON” Japan. All pneumatic components: “SMC” Japan. All electrical parts and components: “Schneider” France. Servo motor Auger filler with PLC control. Robots station for ready cup positioning. Roll stock cut/seal or precut aluminum foil sealing. US and Canada safety standard. CSA, UL, FDA, standard compliance.